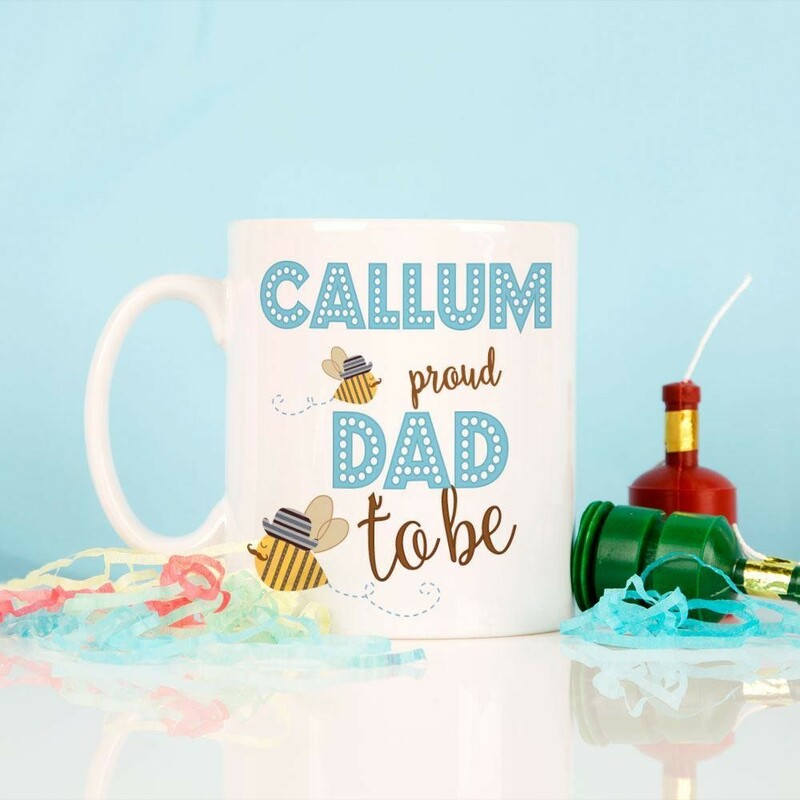 This Proud Dad to Be mug is a fun keepsake for a soon-to-be daddy! 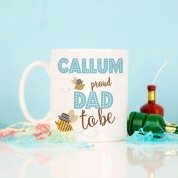 The design features quirky dad bees flying around the mug - in amongst the "proud dad to be" text. 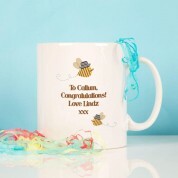 The front of the mug is completed with his name at the top, to show off that he's the daddy! The back is personalised with your very own message to him. 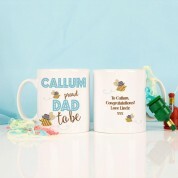 It's a great memento of the lead up to his baby being born, and would make a great congratulations gift or fun way to make the big announcement!